Social media management tools are heaven-sent, especially when you are managing multiple social media accounts and platforms. The same goes for Pinterest. If you are using Pinterest for your business, you not only have to deal with posting to the image-based site but also juggle cross-posting to other social media, engaging with followers, and tracking your posts to name among other things. But with the help of Pinterest tools, these tasks can be simplified. 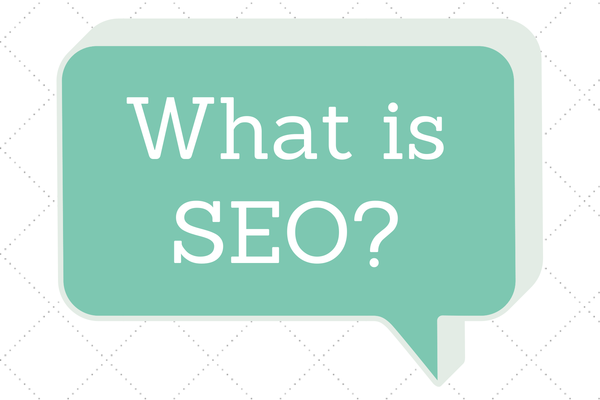 In fact, there are specific tools that cater for specific functions such as those that help you generate content or even track how many times people pin from your website. To that end, we have gathered here 10 tools to help you get started on making the most of Pinterest for your business. This iOS app makes it easier to post your products on Pinterest. 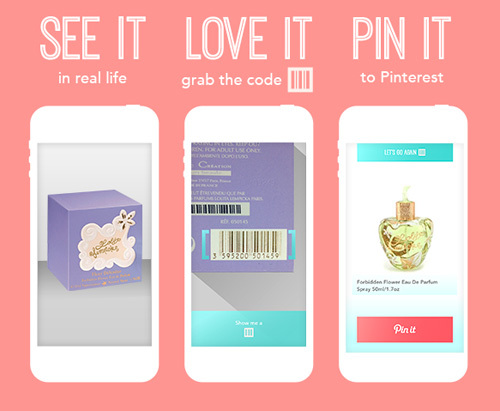 All you have to do is scan your product’s barcode with the app and it allows you to pin a picture of it on Pinterest. You can even use it to create a wishlist dedicated board for your followers. Want an easy way of coming up with content for your Pinterest? Pinstamatic is the answer. Besides photos, you can also generate screenshots, audio, quotes, announcements, and maps into pins. Click on the top icons at Pinstamatic site to choose the content that you want to generate. Previously known as Pinfluencer, Piqora provides analytics for both your website and Pinterest. 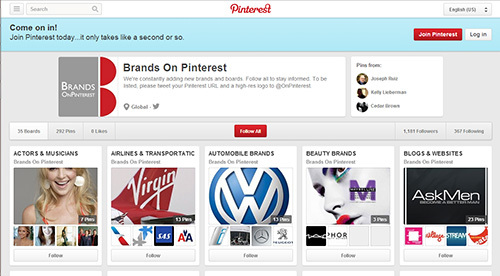 It not only tracks your pins and board’s reach, Piqora also helps manage promotions and contests on Pinterest. Additionally, Piqora will track your Instagram and Tumblr as well, especially when you cross post your content on those platforms. ViralTag not only offers analysis and the easy scheduling of pins. It allows you to manage multiple accounts and analysis from other platforms. 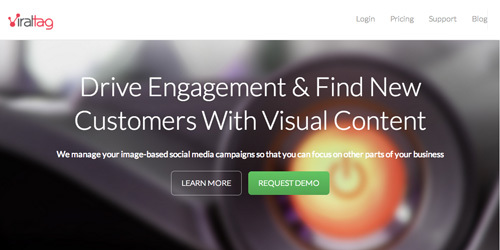 As it partners with HootSuite, ViralTag even lets its Pro users schedule pins from the HootSuite dashboard. 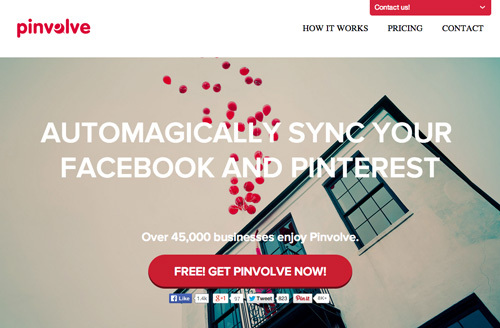 Pinvolve makes cross posting across various social media a breeze. It primarily post your pins onto your Facebook page and lets you share content from Twitter, Pinterest and Instagram content from your Facebook page. Pinterest calls them Goodies. 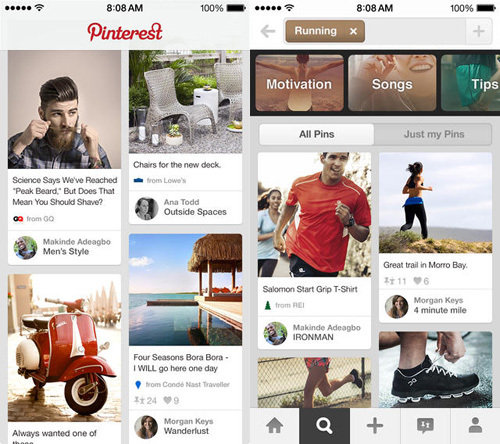 Actually, they are the Pinterest apps for both iOS and Android. Which are helpful when you are pinning on the go. Included among its Goodies is the Pin It bookmarklet, which lets you pin things you see around the web just by clicking it. This handy website takes a screenshot of a website when you enter the URL at its home page. 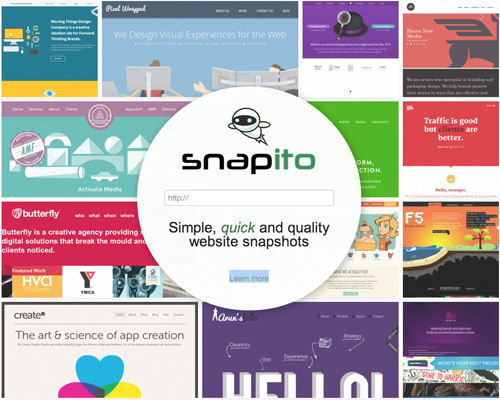 Snapito renders the screenshot into a full-sized PNG file but you can choose to save your image in GIF or JPEG. It even has bookmarklet that will pin the screenshot you’ve taken to your Pinterest. Pinterest has its own tools too. Although they are very basic, they are still useful. There’s a total of 5 widgets you can download for your site. Access them all from this link. Pin It Button allows people to pin stuff from your website. Follow Button invites people to follow you on Pinterest from your domain. Pin Widget lets you embed the pin of your choice on your website. Profile Widget displays 30 of your latest pins on your site. Board Widget displays 30 of your favorite board’s latest pins. 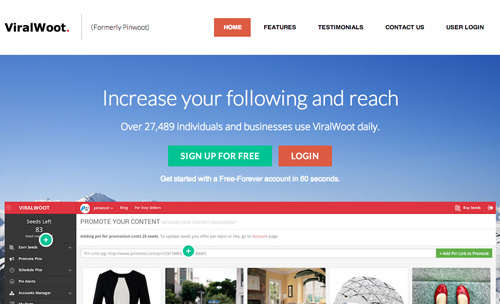 ViralWoot, previously known as Pinwoot, helps you gain more followers for your Pinterest. It does this by referring your account to users in exchange for “Seeds”. “Seeds” are sort of like ViralWoot’s currency which you can earn by following and repinning others. You then give out “Seeds” to followers for repinning a certain content from you. PinAlerts is an interesting tool that tells you if someone has pinned something from your website and who that someone is. 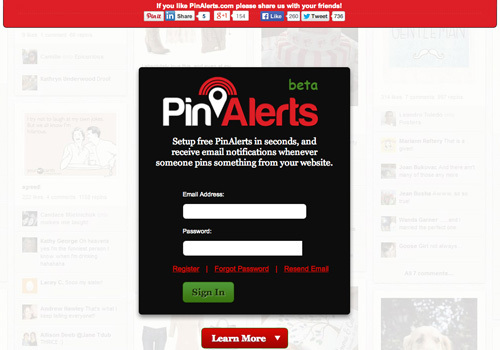 The service informs you of this through email as Pinterest only tells you what others have repinned from your account. This can help in engaging with other pinners as you get to thank them personally and follow them. Did we miss out on any tools? Let us know in the comments below. Previous article“Overused” Typefaces: When Should You Say Goodbye To A Font? Next articleWhat does AmazonFresh bring to the online grocery marketplace?